Below, we will go over the best recipe for one extraordinary cup of french press coffee and the products that are best geared towards making it for you. French Press coffee for one done the right way can be an exquisite treat. It can be difficult to find this one cup in the precise quality and volume that is necessary. If you are only an occasional drinker of coffee, or you only need one cup a day, then you need different kinds of technology from a commercial enterprise or even an individual who likes to entertain friends and family on Sundays. You probably also care more about the taste and texture of the one cup that you make. After all, this is your one cup for the day! You need to know how to make the best cup possible. Here is a single serve French Press Coffee recipe that you can depend on regardless of the press or the coffee beans that you have in your home. Consider this your fully adaptable recipe for all shapes and seasons! Start with water that is just about to boil, but not quite. You can start with boiling water, then let it cool for a bit (let it rest for 1 min.). Grind your coffee beans fresh. This is an essential step to a great one cup. A fresh grind is always better than instant beans or old beans. Always use a coarse grind, not a fine one! A coarse grind keeps the beans from escaping into the filter, and it also maintains the flavor more effectively. The rule is two tbsp. coffee, one cup water (8 oz.). Regardless of the type of beans you have, this is the mix that will give you a great flavor without overpowering you. Of course, if you want a stronger mix, you can certainly negotiate this ratio! Pour water evenly over beans, stir and cover. You want to be sure that the water is hitting all of the beans evenly. Cover the mix immediately so that you do not lose flavor from the "head," so to speak. 4 minute steep. This is another general rule that always works. Four minutes is the magic mark! Press down on the plunger evenly. Press from a straight vertical angle to keep the grounds from leaking out of the side of the filter. There is no rush, so go slowly if you do not want the dust from the mix to stir up. Pour and wash. Pour the coffee into your cup and wash your French Press. 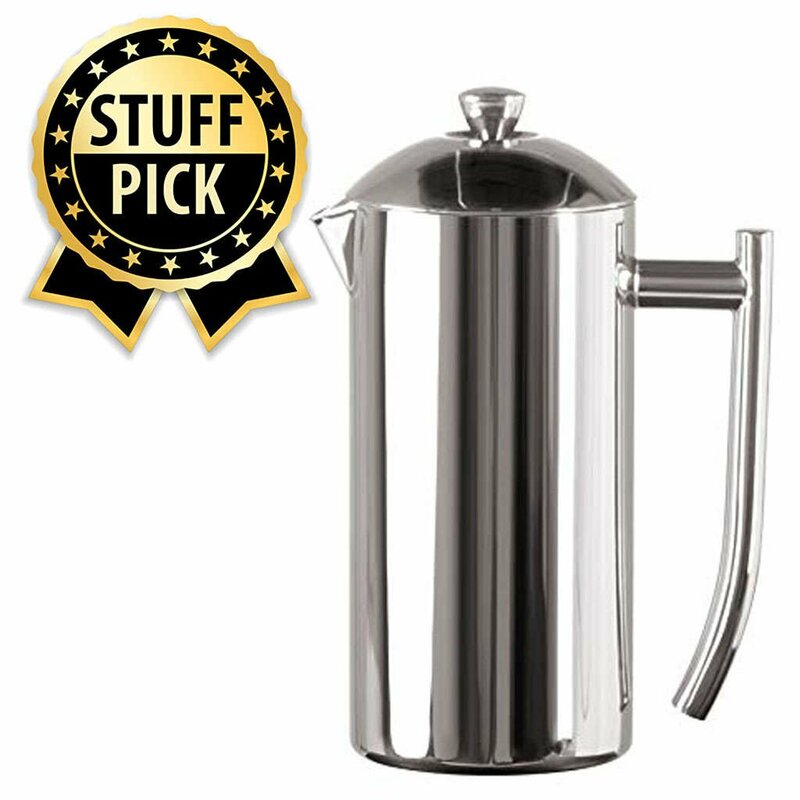 What are the best one cup French Press Coffee Makers? You can't go wrong with the suggestions below. First in line for the best single serve French press is the Frieling. With its dual screen filter, you will be sure to keep all of the silt out of your mix. It also has an incredibly potent insulation, so you can keep your coffee hot for a long time after the brew. If you are in need of a quick cappuccino or espresso in the morning when you wake up, the Aeropress is great at putting together chic coffee drinks without any hassle. This particular French press has a few options that you may want to experiment with depending on the type of coffee drink that you want. For instance, you can brew according to an inverted method that gives more control over the timing and the bloom. 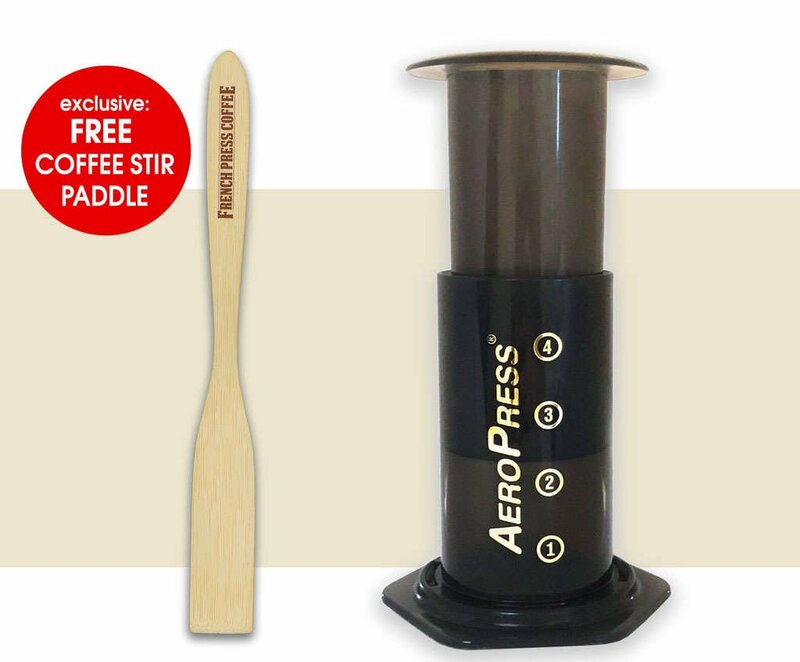 This type of press also helps to avoid silt leakage into the cup more readily than its competition, so if this is a concern, then you have found your French press! This particular French press is known as a full immersion coffee dripper. 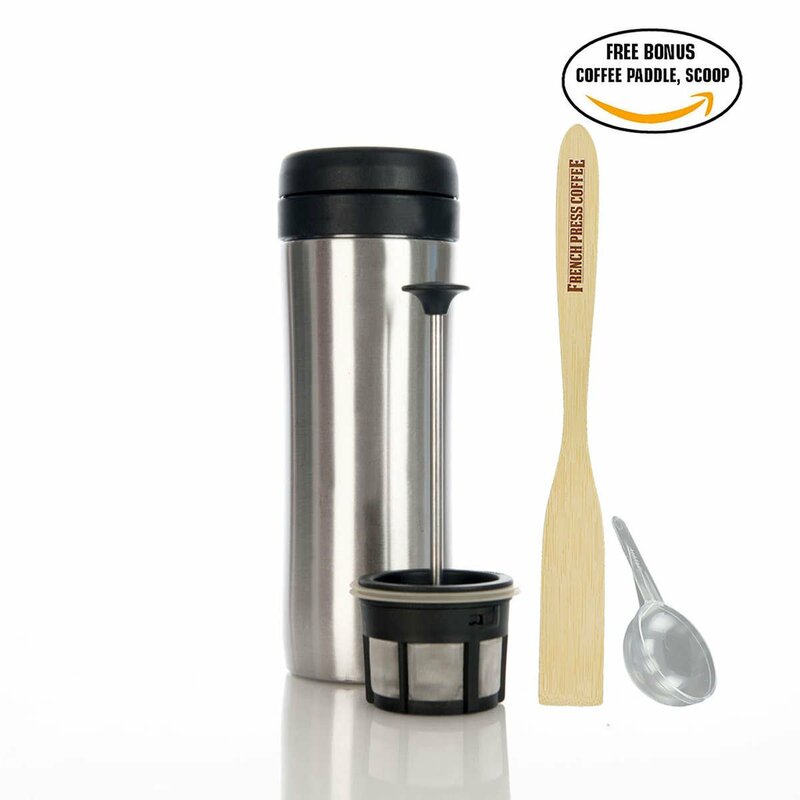 The flavor that you can extract from your beans using this French press is unparalleled, and you get it all in a mobile, easily movable package. 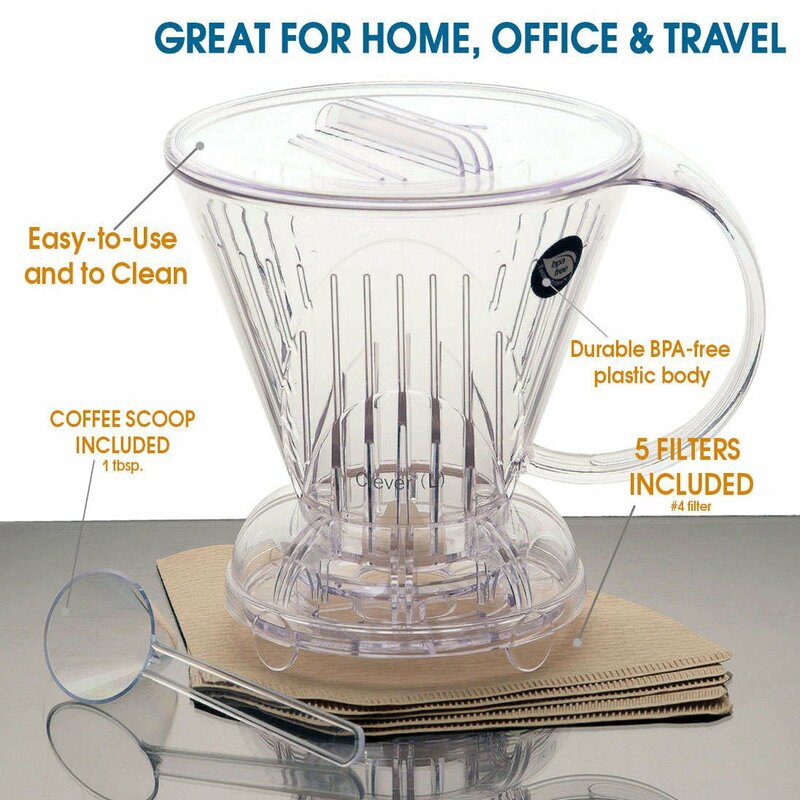 Clean up is easy, so if you are looking for a brewing tool that you can take on the road without much hassle, then you may be looking at your perfect match. You get chrome and steel framing for a much more durable product that can literally withstand years of day to day use. This is also a green brand, meaning that you are saving the earth while you are making your morning brew! The handle is pure polypropylene that is beautiful and gives you a great grip for maximum safety. This French press is made specifically for people with little to no room in their knapsacks. 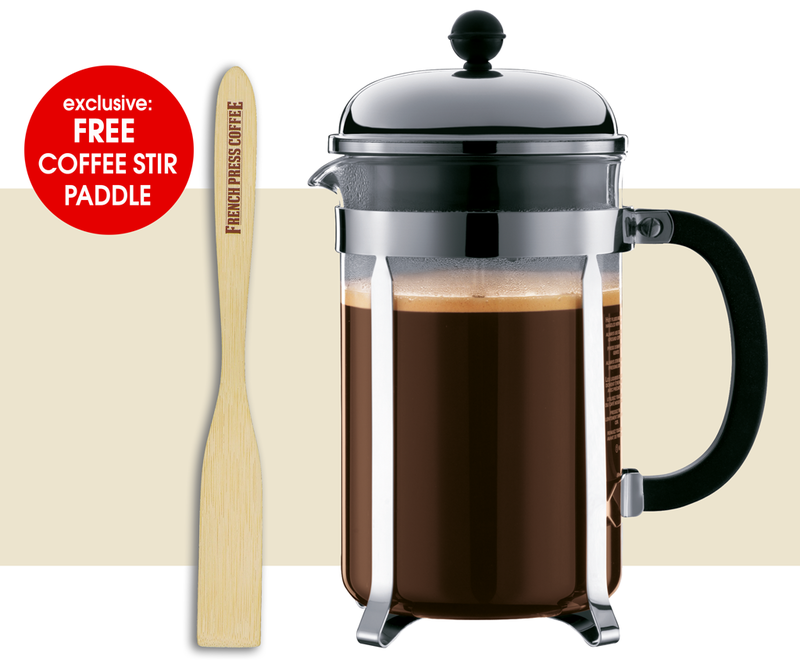 Basically, you get all of the features of French press goodness minimized into a convenient package.